USC Asian Pacific American Student Services (APASS) celebrated its 30th anniversary on April 7 with music, dance and a pointed message on the USC Nisei diploma issue delivered by noted civil rights attorney Dale Minami. In 2011, Asians and Asian Americans comprised 25 percent of the freshman class at USC. Since 1982, USC APASS has worked to empower APA students on campus through career and peer mentoring, leadership development, advocacy and cross-cultural and educational programs. Recently APASS has created programs targeting South Asian, Southeast Asian and Pacific Islander students. Alternative spring break programs have given students the opportunity to travel to Manzanar and Hawaii. 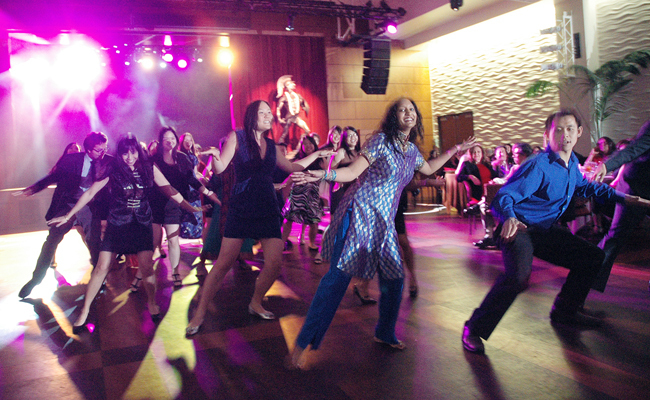 During the dinner, students and staff broke out into a flash mob dance set to music from the three decades the university service program has been in existence. JD Hokoyama and Jeff Murakami, former APASS directors, were in attendance at the gala held at the Ronald Tutor Campus Center Grand Ballroom. Dr. Sumun L. Pendakur, APASS director, served as emcee, and welcome remarks were given by Michael L. Jackson USC vice president of student affairs and State Controller John Chiang. 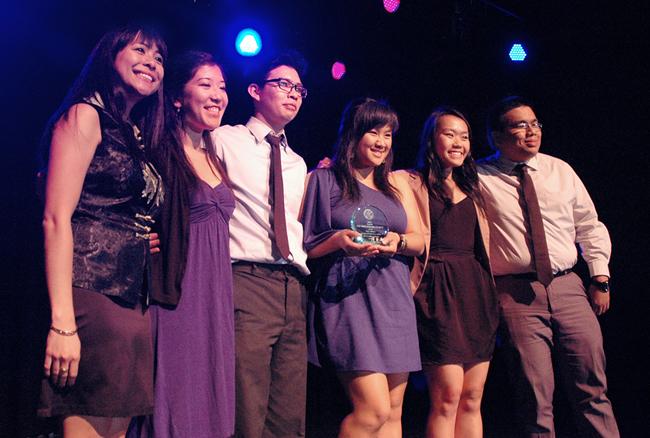 Minami, recipient of the inaugural Roots to Branches award, praised APASS for making USC more inclusive and creating programs for students of color. Minami, who was the lead attorney in Fred Korematsu’s coram nobis case, noted that he didn’t return to the campus for many years. “We didn’t have APASS then, and our experience then was kind of a microcosm of American society. It was white dominated, it was privileged, it was racist, it was sexist, it was elitist,” said Minami. Minami said he hopes that the USC administration will reverse its decision and award honorary degrees to all Japanese Americans whose educations were interrupted by Executive Order 9066. “Part of the problem is not just that they were taken away, but USC would not release the transcripts of the people who were taken away, so they could not transfer to other schools, because they were thought of at that time as enemy aliens by this very school,” said Minami. “And they’ve gone part of the way and done really well in the sense that they’re giving honorary degrees to all the Nisei who are living and they’ve made everybody part of the alumni association. Minami ended his remarks on a hopeful message to USC. “Thanks to USC in advance for doing the right thing,” he stated. APASS also honored the students who led the USC Nisei Diploma Project. The group worked to spread awareness of the issue within the student population by collecting signatures on petitions, hosting forums and garnering support from student organizations and the city of Los Angeles. They eventually made a formal request of the university’s honorary degree committee. Students who worked on the USC Nisei Diploma Project were given the I’Mua award. They are (from left) administrator Jade Agua, Sally Kikuchi, Albert Le, Katherine Kouot, Tracy Yen and Tony Kouot. Speaking to The Rafu, the student leaders expressed some regret that the university would not be giving degrees to all of the Nisei, living and deceased. The students were buoyed by the fact that at least some of their efforts have proved successful through USC’s confidential decision process, though they clearly displayed an air of disappointment in the university’s denial of degrees for those who have passed away. Speaking after the dinner, Chiang said he would be contacting USC on the Nisei diploma issue, echoing the call for posthumous degrees. “I think it’s shameful, USC is one of the premier institutions in the United States. They provide world class education, and they could make a powerful statement about the value of individuals, including the people who chose to make USC their home for an education. 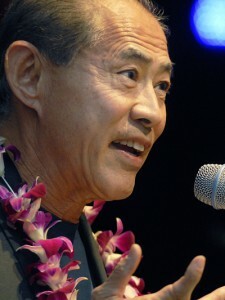 Jon Kaji, who has led the movement to award degrees to all Nisei, said he was cautiously optimistic that the university would reverse course before the May 11 ceremony. “As this continues to roll out, it’s hard for educated people not to support this,” said Kaji. I wonder if USC’s policy of not sending transcripts to other institutions for students of Japanese decent during WWII also applied to those students who were of Italian and German decent. Many Italian and German citizens were also placed in camps during the war or was one race just singled out?